Winkowski’s Italian grandmother and her women descendants, except for Winkowski’s mother, possessed the power to remove curses and, in her grandmother’s case, dreamed of people’s deaths. From a young age, Winkowski attended funerals with her grandmother and confirmed the attendance of the dead person at the funeral. With the guidance of her grandmother, she asked the spirits to leave using the bright, white light nearby, and later, she learned how to make the white light materialize for spirits to leave. Winkowski married and raised two daughters, one of whom inherited her gift. After she married her husband, she finally divulged to him why she attended funerals, and he accepted her explanation. With a family, work and other obligations, Winkowski soon found that attending funerals and driving to people’s homes to clear them of ghosts or to find no ghosts took its toll. After deciding to no longer take on every opportunity that presented itself, she found that talking to people on the telephone gave her direct clues as to whether a ghost really did exist in their home. This made life easier. 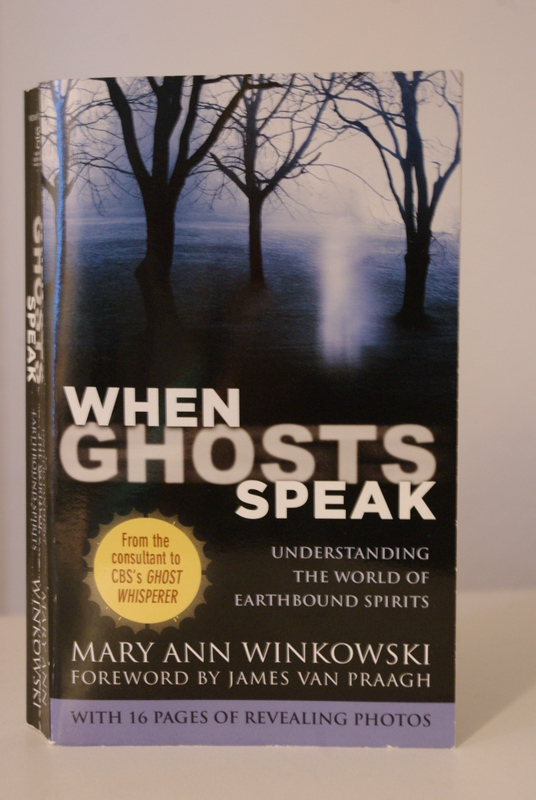 In the book, Winkowski covers a wide variety of topics associated with ghosts and spirits. She uses her encounters to explain to readers the phenomenon of ghosts, the white light, reasons spirits stay behind, what happens to spirits of murders and suicides and other insights of interest to readers. The book reveals that many people attend their own wakes, memorial services and funerals. Ghosts not only attend these functions, but listen to the conversations, take in the flowers and the surroundings and inspect their appearance in the coffin if there is a viewing. Winkowski shares her conversations with the spirits and tells of the way she helps relatives and others left behind. Winkowski thanks spiritual medium James Van Praagh, “for his friendship and for having the vision to know that a television series (“Ghost Whisperer”) based on the kind of work I do would be a hit.” Van Praagh also writes the forward to the book. I found the book a fascinating read filled with important information that only someone with Windowski’s gift could answer. I recommend this book as a great read for believers or non believers in spirits and white light.